Headlines Fishing has been good even with the cooler weather. Plenty of good flows in the streams for fly anglers and with Eucumbene still rising some good edge fishing for fly and bait anglers. Lake Eucumbene:- Has risen to 28.5% and should continue to rise for a few weeks yet as long as we get a little bit more rain in the catchment. 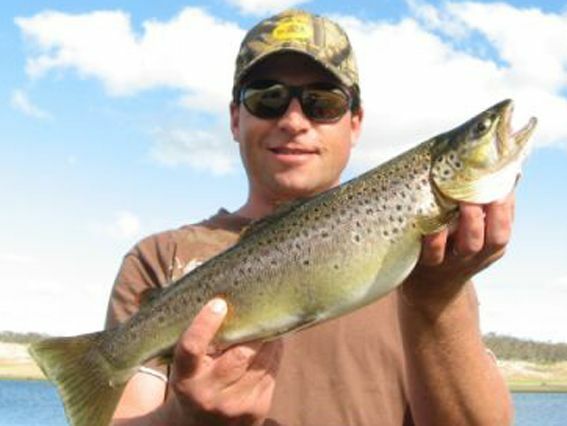 Plenty of rainbows have been caught of late with fish condition improving in some areas. Jindabyne:- Trolling reports have suggested Sids bay and the Islands (or what is left of them) nearby has been very good with some nice fat rainbows being taken. Small minnows and tassies, lofty's or stings are the best lure stlyes to use. Downrigging tassies will produce some great fish and keep an eye out on the sounder for any daphnea blooms as these are great fish magnets and the rainbows in particular have been feeding on these blooms. 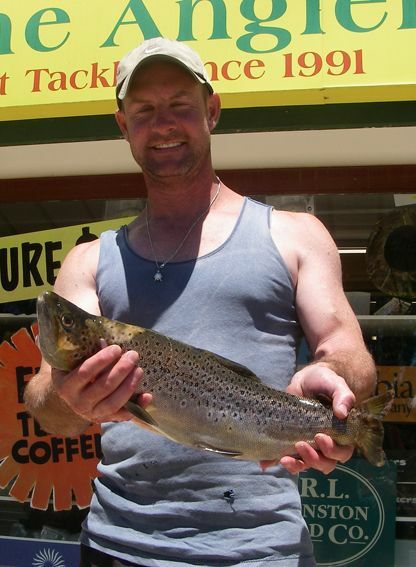 *Chris Roberts caught this brown on a rapala on the weekend. A very nice fish. *Matt Sturgeon caught this brown out from Buckenderra recently.